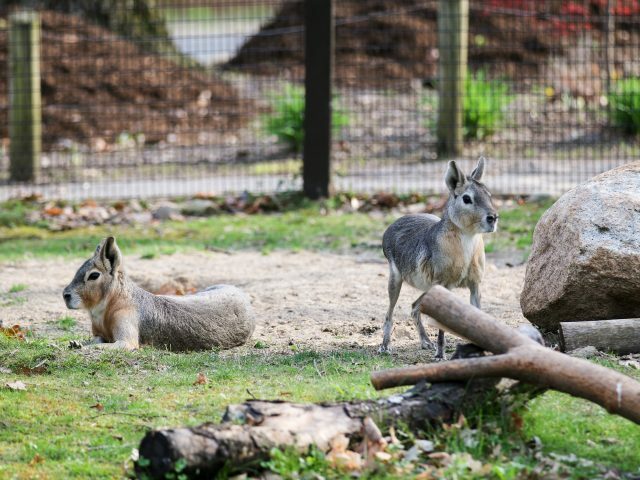 The Patagonian cavy has long legs that allow it to reach speeds upwards of 20-25 mph. It uses this speed to evade predators, such as foxes and carnivorous birds. They are not rabbits! Despite their rabbit-like appearance. Patagonian cavies live in the Pampas of Argentina, a vast, treeless region made up of grasslands and brushlands. 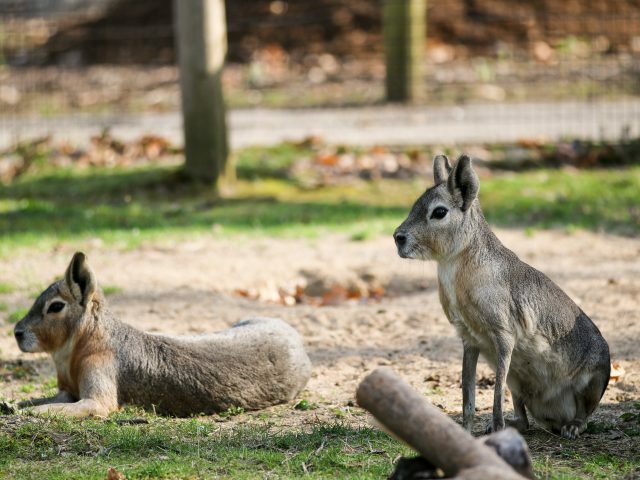 The Patagonian cavy population has been steadily declining at an alarming rate. Why? Habitat loss due to agriculture and increased competition for food from the introduction of sheep and the European hare. In Danger: Localized population extinctions have been reported. 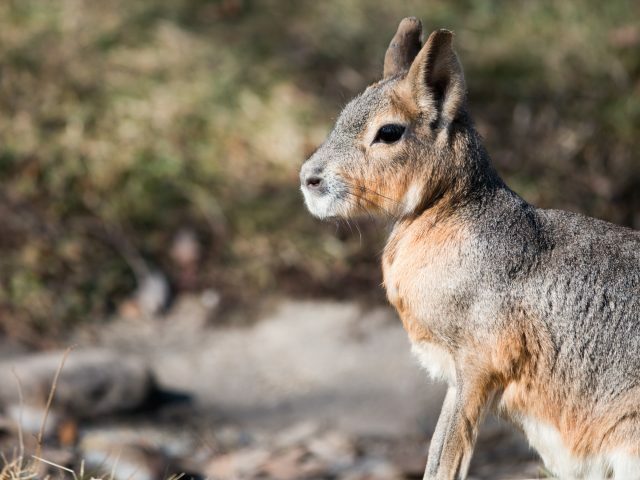 If conservation efforts are not made, the Patagonian cavy will become a threatened species. Nature preserves, such as the Patagonia National Park, protect the Patagonian cavy’s habitat and breeding ground. 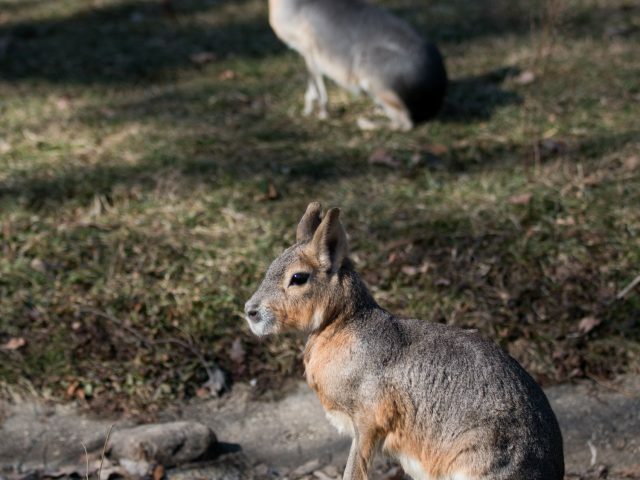 Zoos help educate about Patagonian cavies and their important role in the ecosystem. They also work to breed and maintain healthy populations. 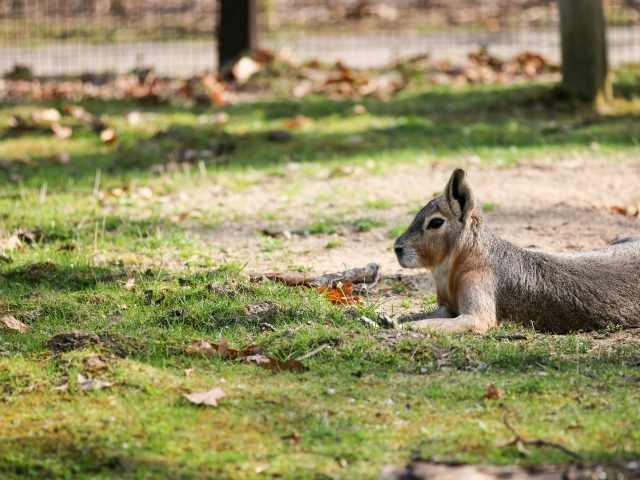 Patagonian cavies have litters of 2-3. Females care for thir young in a communal environmnt with several other breeding pairs and their offspring. The males keep watch for predators. The young may remain inside the burrow for four to five months before they venture outside. 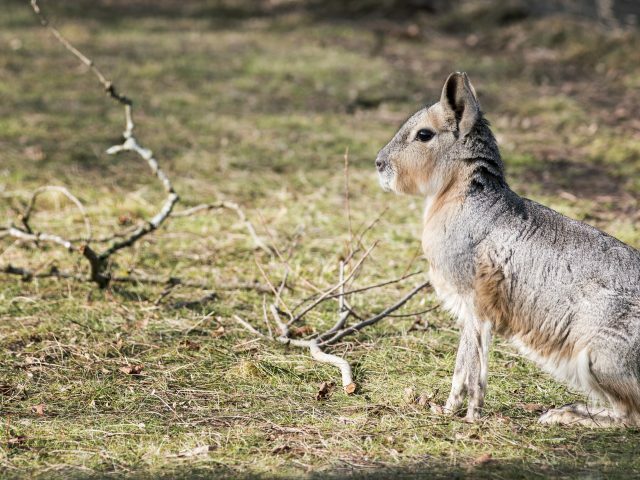 Patagonian cavies are monogamous and mate for life, a trait rarely seen in the animal kingdom.